One of the most common strategies of companies to reduce cost and improve productivity is to outsource cold calling services. To have a better understanding of the concept, allow me to break down the phrase into two sections, “outsource” and “cold calling services”. Outsourcing has emerged as the little-known secret in the back office to the forefront of business development strategy for one simple reason. Outsourcing is quite conceivably one of the most efficient business strategies because it addresses two concerns of every enterprise: cost management and revenue generation, the two components of the profitability equation. Outsourcing solutions reduce costs by capitalizing on the comparative advantages existing in a region or an economy. In most cases, this comparative advantage is found in labor costs. In Australia, the minimum wage is pegged at AUD$20 per hour. If we assume that payroll accounts for 30% of revenue allocations for expenditure then we can estimate cost per hour of operation in Australia to approximate AUD$100 per hour. The Philippines has emerged as the world leader the global outsourcing industry. In terms of labor costs, the minimum wage in the Philippines is equivalent to AUD$1.54 per hour. In the outsourcing services industry, the average wage rate of an agent is AUD$2.96. In the Philippines, you could outsource an entire department for AUD$9 to AUD$12 per hour. The Philippines has one of the highest literacy rates in the world at 96%. English is the primary medium of instruction and mode of communication in business. The Philippines has an English proficiency rating of 85%. The Philippines is a cultural melting pot and can adapt to nuances from other cultures. Voice accounts are also referred to as “Outbound Campaigns” because the agents are required to place outbound calls to prospects identified in a summary called “the calling list” or “leads”. While an agent calls from a list, the act of contacting the personalities is considered “cold” because the recipient has had no previous contact or history with the agent or the company. Some countries have declared cold calling a nuisance and have established strict guidelines on its implementation. Companies that outsource cold calling have to be mindful of telemarketing guidelines and check if there are government mandated listings of people who do not welcome cold calls. Violations of these guidelines will lead to huge monetary penalties and trade suspensions. We’ve already established earlier how wage rate differentials favor outsourcing solutions. But another advantage of outsourcing is how it utilizes economies of scale. In setting up cold calling services, agents are not paid a fixed salary but on a pay-per-performance basis. In other words, if the agent does not sell, he or she does not get paid. The commission structure in a cold calling campaign is based on quotas established by the client. The commission rate is commensurate with total qualified sales which are progressive but the incremental amount decreases as the agent moves up the scale. The higher the volume of sales, the higher the profit margin of the client. Because of the pay-per-performance compensation structure, a client can ask the outsourcing company to increase the number of agents without incurring additional costs. The client is able to increase the frequency of cold calls made and hence, the probability of generating a sale. Again, remuneration to the center is only made for every qualified sale. A sale that is entered into the sales summary report but is disqualified after undergoing Quality Assurance protocols will not be paid for. Telemarketing is restricted to certain hours of the day depending on the country. Outsourcing these services to another country can take advantage of time zone differentials should the allowable period fall after regular office hours. 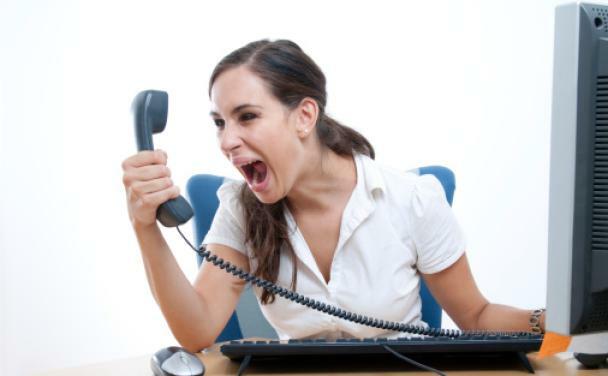 Cold calling is a job which may not suit most people. Outsourcing gives the company an available market of telemarketers and the opportunity to improve productivity at cost effective prices.